Ken Gibson, Newark’s first black mayor, elected in the wake of the city’s turbulent riots, has died. Propelled to leadership after the Newark Riots tore at the city in 1967, Gibson helped establish a foundation for black political power. He served as the city’s mayor from 1970 to 1986 and was the first black mayor of a major northeastern city. 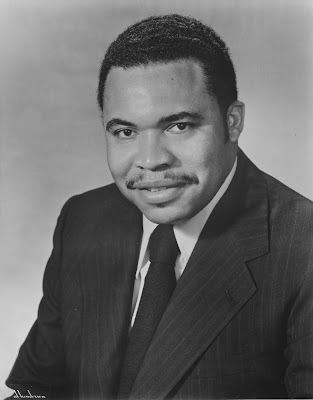 Elected in 1970, when Newark was still just three summers removed from its devastating 1967 riots, Gibson served for 16 years, during an era that was difficult not only for Newark, but for American cities in general. And while he was sometimes faulted for lacking the dynamism of his successor in City Hall, Sharpe James, history later came to view Gibson as a competent and well-meaning civil servant who stabilized Newark’s finances, improved the health of its citizens and fought the good fight during difficult times. “He gets a lot of credit for holding things together when things could have easily fallen apart,” the late Bob Curvin, who spearheaded Gibson’s 1970 campaign and later became the director of the Ford Foundation’s Urban Poverty Program, once said about Gibson.